Making time lapse videos can be both fun and frustrating at the same time. Its a long process that can end in disappointment if you do not prepare properly and have your equipment set up right. We will give you some tip to help your time lapse videos look better. 1: Framing is key. Arrive early and take the time to take a walk around the area, imagine the shot, take a look at the scene, try to find the best location. You must look at this as a single shot, as the last shot you can fit on your memory card. 2: Choose the right lapse. This might be the most important thing when making a time lapse video. The time between the shots is what determines the speed of the video. The longer this time is the faster your video will be. 3: Selecting your subject. What is your video trying to show? Are you shooting a sunset or movement of the stars? If so think about the particular elements of the scene that interests you and what is going to change over the length of your video and where these elements will move. Try and compose your video with these elements in mind, and give space for things to move into. 4: Focus accurately. It is very important to select the manual mode in both the camera and lens, if applicable. 5: Tripod, your best friend. Stop trying to use lightweight carbon tripods. Your camera could be in the same place for hours and if you are shooting outside you have the possibility of wind blowing against your set up and a lightweight carbon tripod could get knocked over or just move and destroy your time lapse. Use that big old heavy tripod you hate to take with you. 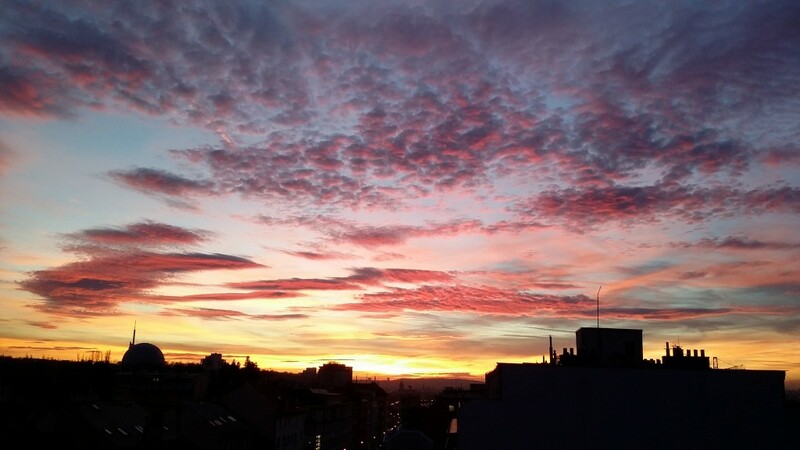 Here is a time lapse video I shot of the clouds and sunset in Prague.